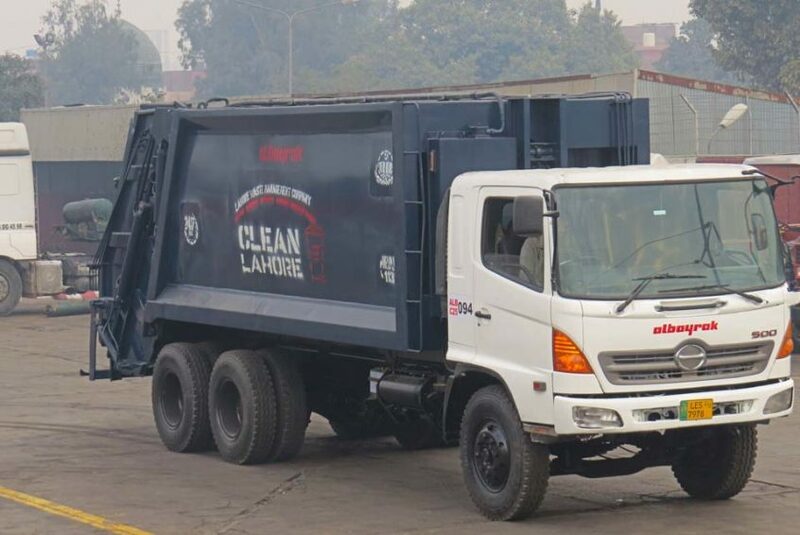 Lahore: Albayrak Waste Management has started painting its machinery and vehicles to keep its waste management fleet clean, up-to-date and aesthetically pleasing. The machinery of Albayrak which has been painted blue, can be seen on the roads donning Clean Lahore logo in white. While giving the point of view, Albayrak spokesperson said that painting and maintenance of the vehicles and containers were carried out throughout the year. The technical teams on regular basis, were repairing and painting the vehicles and containers in the workshops as well as on the roads. Albayrak has placed more than 9000 waste containers in different union councils of Lahore. On daily basis, four mobile workshops are repairing 80 waste containers whereas five mobile workshops are painting 40 containers on average. Moreover, machinery and vehicles are regularly repaired in workshops of Albayrak which are located near Children Hospital and near Saggiyan Pul in Lahore.